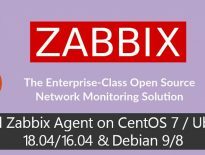 Debian 9 Stretch has been released on 17th June 2016, and you may be now looking for upgrading your previous version, i.e., Debian 8 “Jessie” to the latest version Debian 9 “Stretch“. 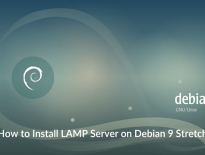 This post will guide you through the steps to upgrade your system from Debian 8 “Jessie” to Debian 9 “Stretch”. You need to have an active internet connectivity to download the latest updates. You must have root or sudo privileges to perform this OS upgrade. Test this OS upgrade on Development systems before upgrading the Production systems. Before proceeding to upgrade, request you to take a full backup of important data files and configurations as this may help us restoring the system back to its previous state if you face any issues during the upgrade. Use “lsb_release -a” command to see the current version of Debian. Use the following command to update all the installed packages to the latest package available for the current operating system, i.e., Debian 8 “Jessie”. Now edit the Debian apt configuration file “/etc/apt/sources.list” and replace “jessie” with “stretch“. Safer side, take a backup of current sources.lits file. Use “sed” command to update the repository file. Now, update all packages on your system to the latest version available for Debian 9 “Stretch”. During the package update, you may be asked whether to keep the locally available configuration file intact or replace with the file coming from updated package. Recommendatins is to “keep the local version currently installed“. Do the distribution upgrade to complete the upgradation to Debian 9.